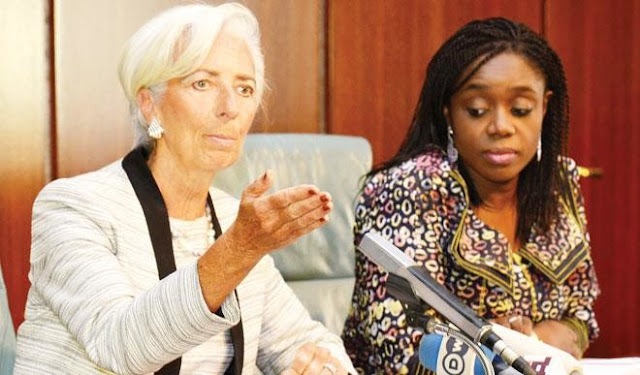 The Managing Director of the International Monetary Fund, Christine Lagarde, says given the determination and resilience of President Muhammadu Buhari’s administration, Nigeria has no reason to seek IMF loan. Lagarde, who is currently on a four-day visit to Nigeria, stated this yesterday at the Aso Rock Presidential Villa in Abuja while fielding questions from State House correspondents after meeting with President Buhari. Responding to a question on whether the IMF was also out to attach conditions to loans Nigeria might seek from the organisation, she stressed that she was not in the country to negotiate a loan with conditionality. discipline, implementation and leadership ambitions to serve the country well for sustainability. So, of course, discipline is going to be needed; of course, implementation is going to be key for the objectives, and the ambitions to serve the country well, in order for it to be actually sustainable”, she said. The IMF boss urged that Nigerians consider some degree of flexibility in the wake of volatility of the global oil price, saying doing so would be helpful. She said her team had excellent discussions with Buhari on the challenges emanating from oil price reduction, the necessity to apply fiscal discipline and respond to the population needs while addressing the Medium Term specifics of improving the competitiveness of Nigeria and focusing on the short term fiscal situation requiring that revenue sources be identified to compensate the shortfall resulting from oil price decline. 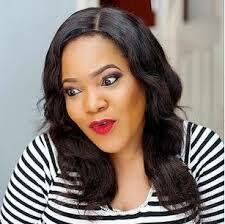 She affirmed that “Oil is not the major contributor to the Nigerian GDP. It is only about 40 per cent, but it is a big source of revenue for the government”. In his reaction, President Muhammadu Buhari told the IMF team that Nigeria will look inwards to overcome her economic challenges. Buhari said his administration would enforce regulations to stop financial leakages and adopt global best practices in generating more revenue to mitigate the effect of dwindling oil prices on the nation’s economy. Presidential spokesman Mr Femi Adesina quote Buhari as saying this at the State House in Abuja yesterday while receiving the IMF Managing Director, Ms Christine Lagarde. Adesina said the president disclosed that his administration would also enforce greater discipline, probity and accountability in all revenue generating agencies of the Federal Government. “We have just come out of budget discussions after many weeks of taking into consideration the many needs of the country, and the downturn of the economy with falling oil prices and the negative economic forecasts. “We have also told all heads of Ministries, Departments and Agencies (MDAs) of government that on our watch, they will fully account for all funds that get into their coffers”, President Buhari told the IMF boss.